Satellite antennas play a pivotal role in at-sea communications. The device implementation, functionality and even positioning all heavily influence the ability of yacht owners and charter management companies to provide their crew and guests with the remote connectivity they need. Investing in the latest software and equipment should be seen as an essential component of their communications planning. Adopting cutting-edge technologies enhances guests and crew enjoyment because it allows them to take their onboard communication experiences to the next level. Over the past few years, satellite communications has been going through a major transformation. New technological advancements and product innovations have promised to not only enhance the reliability and efficiency of connectivity, but make it more cost-effective as well. Aside from the unsightliness of these structures, they also have a lot of moving parts and present a number of technical and practical problems. It is important to make sure this bulky equipment isn’t in a blockage zone or installed in a way that obstructs the satellite view, thereby impacting onboard connectivity and ultimately the experience of guests and crew. Furthermore, due to their size and weight, yachts also have very few options for mounting them. All of these factors have fueled the initiative for finding a better alternative. And it seems that, soon, yacht owners and charter management companies will have it. 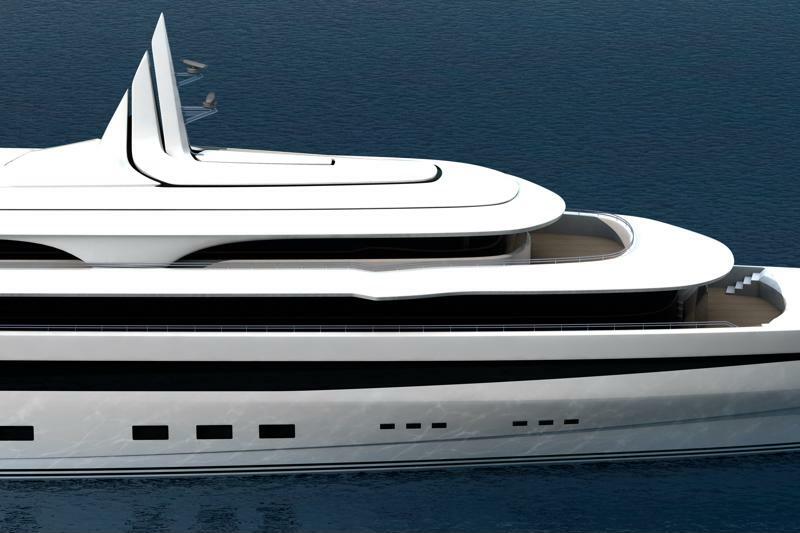 A few years ago, Kymeta Corporation announced it would start to using metamaterials and flat-panel technologies in antennas and communication terminals and, through its partnership with e3 Systems, develop prototypes for the yachting industry. More recently, MegaYacht News reported, the organization said these flat panel antennas, or FPAs, will be on sale as soon as next year. Small and lightweight: Because there are no moving parts, the flat panels are smaller and thinner. MegaYacht revealed that Kymeta FPAs, on average, have a diameter of about 80 centimeters, compared to the several feet of most domes. Visually appealing: Flat panel antennas offer a less obtrusive and unsightly appearance than conventional counterparts. Rather than mounting it to the mast, yacht and cruise owners will have more placement variety to choose from with these panels, especially with electronic beam steering. Increased accuracy and bandwidth efficiency: The ability these antennas have to steer electronically, rather than mechanically, increases the likelihood of maintaining constant satellite connection. For reliable connectivity, it is important that terminals are able to seamlessly switch between beams and, especially on transportation vessels, maintain a small and light profile and weight. The large, heavy and multifaceted structure of traditional parabolic antennas makes it more likely for at-sea communications and broadband issues to occur. Reliable satellite connectivity is paramount for remote communications. This is why flat panel antennas are widely perceived as the innovative technology that can lead to higher bandwidth efficiencies and reduced weight penalties, as well as help fuel mobility growth for both high throughput satellite and non-geosynchronous systems. Northern Sky Research, which recently published its Flat Panel Satellite Antenna Analysis report, pointed out that many of the issues that have plagued the industry in the past can be attributed to the high-cost or low-quality service of ground terminals. Now, the development of these flat panel technologies is facilitating more integration and collaboration between satellite equipment manufacturers, service providers and operators – moving the market toward a better performing and priced solution. In its report, NSR divided the FPA market into two categories: mobility (aeronautical satcom, maritime and land-mobile) and fixed service (stationary broadband communications and Direct-to-Home television). It expects the shipped units of flat panel antennas to generate at least $710 million in annual sales over the next ten years, with over 31,000 units shipped units forecast just for satellite mobility). Because these antennas are easy to install and lightweight, NSR said it anticipates the growth of FPA manufacturing to be driven by the maritime and land-mobile market. However, it seems that, moving forward, one of the biggest issues surrounding flat panel antennas will be choosing a product, since there is currently no one-size-fits-all solution. Each market has different needs and requirements, hence the influx of partnerships between manufacturers, service providers and operators. According to Satellite Today, Kymeta formed a partnership with a major communications provider, among others, to transform the satellite communications in the maritime industry. Phasor did the same, establishing agreements with with service providers in the maritime and government markets. MTN, a Global Eagle Entertainment, Inc (GEE) (NASDAQ:ENT) brand, unveiled its new flat-panel satellite solution for superyachts at the Monaco Yacht Show. MTN brought the flat-panel antenna technology to the superyacht market as part of a complete broadband solution using MTN’s global Ku-band VSAT network. “Utilizing MTN’s robust global Ku-band VSAT network, the MTN flat-panel antenna brings to market a ‘best-in-breed’ solution with the lowest cost of ownership and highest throughput available in the superyacht market today,” said Abel Avellan. These ultra low-profile and highly efficient antennas can be embedded beneath the skin of the vessel with a custom radome to match the aesthetic design of the vessel, eliminating the need for large, heavy, stabilized dish antennas. MTN will work with owners and designers to customize the flat-panel solution to match the vision and aesthetics of the owners without compromising performance. Today, reliable connectivity isn’t just a convenience – it’s a necessity. And the importance of evolving a business model that runs in tandem with the speed and sophistication of technological innovations can not be understated. By staying on top of the emerging industry trends and product developments, yacht owners and charter management companies will be able to leverage the advanced remote communications solutions needed to meet the expectations of their guests. When it comes to managing your yacht communications and entertainment, it is crucial to ensure your satellite broadband network offers enough bandwidth to cover the needs of both guests and crew. In this day and age, people expect to get the same reliable connectivity at sea as they do on land. Failing to offer the appropriate bandwidth to meet remote communication needs can result in unhappy customers and dissatisfied employees. Put simply, your bandwidth plays an important role in the success of your business. To determine how much bandwidth your yacht needs, there are a few factors to take into consideration: the number of onboard guests and crew members, the number of devices each person has and how many applications will be used through each device. Research by NSSLGlobal and MegaYachtNews revealed that the majority (90 percent) of yacht crew members bring at least two digital devices onboard – though 16 percent bring as many as six! However, on average, a person will bring somewhere between two and three devices, each requiring a bandwidth of somewhere between 4 and 50 Mbps. For social media applications, such as Facebook, the recommended bandwidth is 264 Kbps. If you plan on allowing guests and crew to video stream, the amount of bandwidth you'll need depends heavily on the level of quality. Standard definition requires about 3 Mbps, high-definition approximately 5 Mbps and Ultra HD needs 25 Mbps. When choosing a satellite broadband service provider, it is highly recommended you find one that offers flexible plans so you're able to change your bandwidth on an as-needed basis. Owners and guests expect to have the same level of connectivity on board their yachts as they do on land. However, to deliver them with the fast, reliable service they expect, you need a broadband plan that guarantees optimal performance. The demand for satellite bandwidth is surging. Today, most people own at least two mobile devices that they bring on board with them. You need to ensure enough bandwidth for each person, each of their devices and each of the ways they plan to use the devices. So it's no surprise that you might find yourself seeking a bandwidth upgrade or trying to figure out how you can improve the performance and reliability of your yacht satellite broadband. Fortunately, there are ways to do this. The first step is to figure out what is absolutely essential for your broadband. If your current broadband plan isn't giving you're the reliable connectivity performance you want, it could be because you don't have an accurate understanding of how it's being used. Survey the crew to get an assessment of what they currently use – and how. You want to make sure that you have enough broadband to let members and guests use their devices however they want. Maybe your guests use it primarily for entertainment purposes, such as streaming movies or browsing social media networks. It's also possible that the bulk of the data usage is coming from video conferencing, emailing and other business-related tasks. The more specific you can get about the connectivity needs and bandwidth usage of onboard guests and crew, the better able you will be to choose a plan that ensures reliable performance. "To ensure the right broadband service plan, you must understand how bandwidth is being used." If you currently have a data cap on your service plan, it may be limiting the yacht satellite broadband performance – and leading to extra costs. If so, consider implementing a crew service level agreement or fair usage policy that restricts their bandwidth usage. Although it's important to consider the satellite connectivity expectations of your crew members, sometimes it's also necessary to limit their access to it. Exercising more control over bandwidth allocation can help ensure it is being distributed appropriately. It's highly possible that the needs of crew and guests vary – which makes trying to managing them all on a single network can be difficult and, ultimately, ineffective. Instead, create and configure different LANs for each group to make it easier to divvy up bandwidth based on the specific needs of users. Another option is to block specific apps for certain LAN groups, such as social media for crew members, or limit the number of devices they are able to use at one time. This strategy may be important to use if most of the data is being consumed by crew members' devices. According to research conducted by NSSLGlobal, almost all (90 percent) of crew members bring a couple of devices on board with them, which can be a source of eating up data – even when they aren't being used. When you're looking for ways to improve the performance and reliability of your yacht satellite broadband, it is important you look at the hardware and equipment being used. Utilizing the latest remote communication tools and technologies will enhance connectivity and optimize bandwidth usage. For example, check to make sure that your antenna is compatible with the right type of network you are using and that it is capable of handling the high speeds and coverage in your region. It's also important to make sure that this equipment is properly installed and positioned on the yacht. If it's placed in a blockage zone, for example, it is going to be extremely difficult for it to access a satellite that is far away. An intelligent back channel solution like SpeedNet is another technological investment that can have profound effects on the reliability and performance of your yacht satellite broadband connection. This advanced caching technology allows freed-up bandwidth to be used for HD video streaming applications. Put simply, it solves the issue of latency by creating a different back-channel that enables more streaming and less waiting. Outdated hardware and equipment will lead to unreliable satellite communications. If you only charter during a few months out of the year, certainly you don't need to get an annual, high-bandwidth contract. Instead, choose a service plan that allows you to upgrade your bandwidth during times of the year that are the busiest and most demanding. Look into plans that allow you to increase bandwidth per charter or have a high-speed season option. Offshore communication needs vary based on the vessel, as well as the number and habits of its guests. When it comes to SATCOM and VSAT solutions, there is no one-size-fits-all. This is why it is important to choose a provider that can offer specific solutions that meet your individual yacht satellite broadband needs. Ideally, you want to a flexible plan that requires as little commitment as possible so you can tailor it to the needs of your guests and crew on an as-needed basis. Onboard connectivity and at-sea communications are not just a convenience now; they are a competitive advantage. By going above and beyond to improve the performance and reliability of your yacht satellite broadband, you will be able to provide your guests and crew with the type of high-speed internet that enhances their experience. When it comes to managing remote connectivity, you need to ensure your satellite broadband plan will allow enough data for the business and entertainment needs of both your crew and customers. Offering high-speed internet, HD video streaming and other services gives yacht owners and crew entertainment and charter management companies a competitive advantage. You don’t want to overpay for data you aren’t using, but you also don’t want to limit the onboard experience by not having enough bandwidth. According to research conducted by NSSLGlobal, yacht crew members’ expectations for their on-board bandwidth are increasing significantly. Of the survey participants, almost half said they believe they should get the same level and quality of connectivity as they do when they are in their own home. As on-land broadband speeds accelerate, both crew and guests are going to continue to expect the same type of experience while at-sea. If you don’t have the appropriate bandwidth, you could end up dealing with a lot of unhappy clients and staff. When you are trying to figure out how much data will be used on the yacht, it is crucial to take into account how many devices each user has. Most people have multiple – such as a smartphone and tablet. As the source pointed out, 90 percent of crew members tend to have at least two devices on board with them, and 16 percent have as many as six. Furthermore, MegaYacht News reported that the number of “data-heavy devices” per person that are being brought on board averages about two to three, each of which require a bandwidth of about 4 to 50 Mbps. This rapid proliferation of mobile devices means that if you have a yacht that usually has about 20 people on board, you now need a broadband plan that will be able to service somewhere between 40 and 60 people, at least. At this point, satellite broadband to support at-sea communications is necessary. Yacht communications and entertainment require a satellite broadband network with reliable connectivity. In order to know how much data you will need for your broadband plan, it is helpful to first obtain a better understanding of how much bandwidth is required for people to comfortably use different applications. Most yacht communications service providers provide data allowances based on data speeds versus download size. The difference between the two is important. Bytes, such as megabytes (MB) and gigabytes (GB), are used to measure the data storage capacity. Megabits are used to measure speed and data transfer rates, with 8 bits per one byte. Your connection speed does not affect how much data is being used. Simple functions such as browsing the internet and checking email may not require much data, but if you plan to use the web for streaming videos, downloading files or using social media, that changes things. Not all files are created equal. How much data you need will depend on how you intend to use the broadband – meaning which applications will be used, how often and by how many people. Without attachments, the average email uses about 50 kilobits per message. But if you are sending, receiving or downloading attachment files, it will increase. On average, basic plans that have anywhere between 2-6 Mbps are the minimum recommendation. However, if you expect your users to do more than simple web surfing and email checking – which most will – than you will need more bandwidth. On average, browsing social media applications requires about about .03 Mbps. But keep in mind that this is per user, and it increases depending on what is being done on the site, such as watching videos. Furthermore, when trying to determine how much bandwidth will be necessary, keep in mind that each person typically has multiple social media apps on their mobile device. To get the highest level of quality for Facebook, one of the most popular platforms used, it is recommended you get a plan with a speed of 264 kbps. Whether it is for keeping in touch with family and friends or conducting business meetings, Skype is a video conferencing app that many people use when they are traveling for both professional and personal purposes. The recommended download/upload speed for standard calling functionalities is 100 kbps/100 kbps. However, for high-quality video calls, it jumps to 500 kbps/500 kbps. For a group video of seven or more people, it is recommended you get a speed of 8 Mbps/512 kbps. 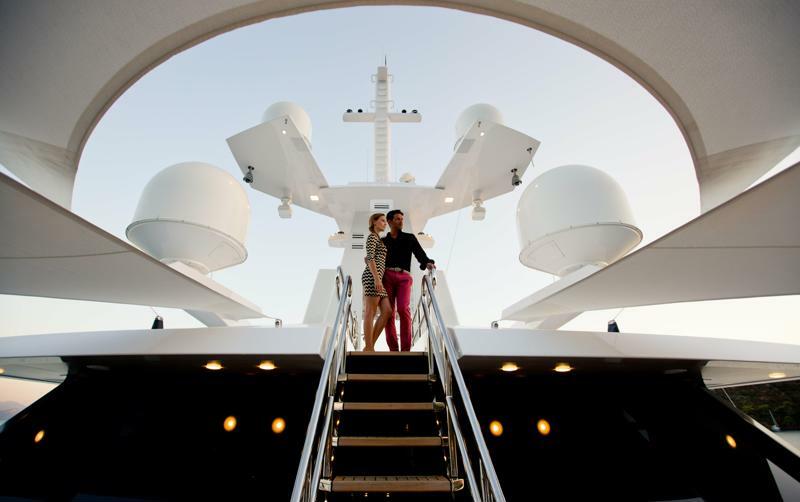 Ensure seamless yacht communications and entertainment for both your guests and crew. On average, if you want to offer guests and crew members email, Facebook, web surfing, HD music and Skype voice and video calling, it is recommended you get a plan with a download/upload speed of at least 786 kbps/256 kbps. 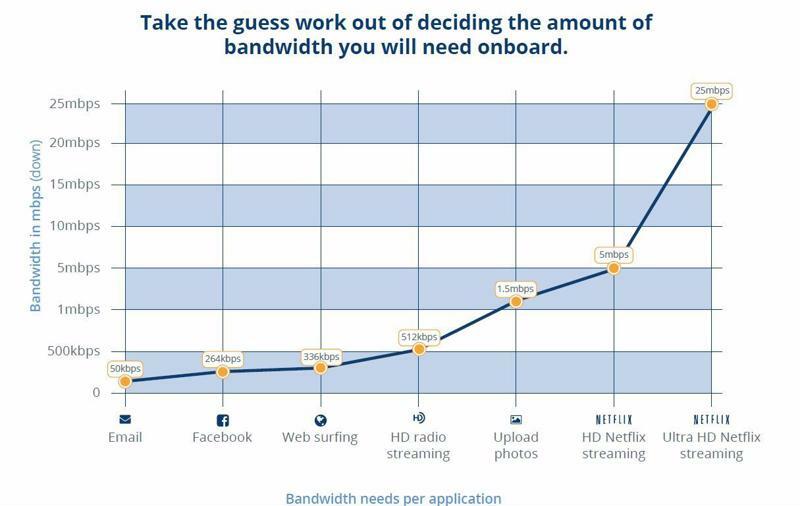 However, if you anticipate needing even more bandwidth, say to offer all the above, plus streaming applications for YouTube, Netflix and Hulu in SD, you should go for a plan that is at least 6 Mbps/2 Mbps or more, depending on the number of guests or crew onboard. Yacht operators have several options to optimize their onboard bandwidth usage but it’s important to find a provider that meets your needs. Look for providers that provide temporary bandwidth “bursts” for high usage periods or when many guests are onboard at once. Many providers also offer products that can help to get the most of your contracted bandwidth. For example, EMC’s product, SpeedNet, can cache popular websites and social media sites locally onboard so that these sites are available without having to use the VSAT network. This allows for bandwidth to be available for more high bandwidth usage like video streaming or Skype. To ensure the highest level of satisfaction, yacht and charter owners should look into a service that makes it easy to prioritize and customize bandwidth allocations based on users and applications. For example, while at sea you could limit the use of certain applications, such as social media, for crew users. Working with a provider that can deliver a tailored solution for the specific needs of your staff and guests would be in your best interest. Who can remember the wow factor of the iPhone 3G being 3G compatible? A few years later, we’re now talking 5G and the Internet of Things (IoT). Technology has been evolving so fast that it’s nearly impossible to keep up with the latest, coolest trends. Yacht owners want to be first to have the ultimate technology to stay connected to their critical business transactions, as well as entertain – and obviously impress – every guest onboard. Going into dry dock only every few years and technology changing almost every season, how do you keep up with newest hardware and software for onboard communications? Will the vessel be chartered? How many TVs are needed and what type and quality of programming (HD/SD, streaming, on-demand movies, live events and more)? Ideally, your communications and AV provider(s) will use this information to custom-tailor a solution to your owner’s lifestyle needs, while collaborating with your design and engineering teams as early as possible in the build/refit process. With an advanced communication solution defined, a smart and forward-looking yacht design can be drafted to include space allocation for IT and AV equipment at different levels, in rooms, on deck and in the main below-deck equipment rack. IT and AV providers can assist the designer during the early draft stage to define locations for in-room equipment such as TV, speakers, iPad docks, Ethernet cabling and wireless access points, always allocating extra space for the inevitable changes to come with the latest new trend (like ultra high-spec cabling such as fiber optic). Designing the vessel to be adaptable to future technology, improvements is key! It will save time when upgrading to the latest and greatest, prevent headaches for ETOs and designers, avoid massive refits and consequential costs, and ultimately keep the owner happy. Tapping into the resources of communications and technology companies, such as MTN and partner Van Berge Henegouwen (VBH), can save valuable time and money for builders over the long haul. VBH is one of MTN’s several Maestro certified partners and maritime service providers. Together, the companies bring the experience necessary for future-proof, forward-looking new builds and refit projects. By anticipating owners’ needs, builders can successfully deliver a yacht today that adapts the technology trends of tomorrow. Learn more about Maestro here. This week our Yacht Business Unit, is in Kitzbühel, Austria to attend the Superyacht Design Symposium, February 21-23, hosted by Boat International Media. For a third year, MTN-An EMC company is sponsoring the event, which draws 300 yacht owners, designers, shipyards, refit yards, project managers and important companies in the yacht-building industry. The symposium is an ideal venue to meet and network with people involved in the early stages of yacht construction, along with the decision makers for onboard communications for new builds and refits. The agenda includes conference sessions, the ShowBoats Design Awards, social events and a ski competition among participants (Did we mention it takes place in the Austrian Alps?). This event provides us the opportunity to share the importance of integrating communications systems into yacht design for optimal network performance. As a symposium sponsor, we also had the honor of presenting the Holistic Design Award portion of the Show Boats Design Awards ceremony. Check out the full list of 2016 Boat Show Design winners. Emerging Markets Communications (EMC) expands its operations in Houston by opening a new office and technology demo center. The new office is located in Houston’s Energy Corridor, at 3151 Briarpark, Suite 250, Houston, Texas, 77042 and the technology demo center where oil and gas companies can test their applications on our global satellite network for both offshore and onshore field connectivity requirements. The demo is also used to showcase EMC’s patented technology and end-user applications that drive efficiency, increase reliability and lower-costs of global satellite connectivity services. The technology demo center allows users to connect to our C-Band Satellite Network, using a 2.4 meter antenna, mounted on the roof of the office building. Schedule a session to visit EMC’s Houston office and bring your own laptop or device to connect to the satellite network! Companies can also test EMC’s satellite network from Houston to any global remote site in the demo room for up to three weeks. 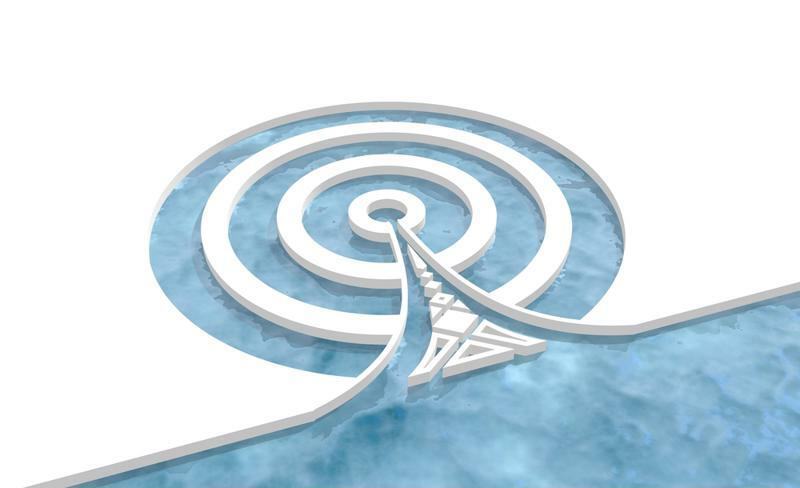 EMC engineers design a pilot network and collaborate with your technical teams to commission the bandwidth to a designated field site(s), such as an offshore rig or platform. Surf the web using EMC’s satellite connectivity and its patented SpeedNet® browser. It performs 66 percent faster than Google, Yahoo and Bing over satellite, and loads content and video up to 88 percent quicker. SpeedNet® is an integral part of EMC’s crew welfare services and improves the efficiency of allocated bandwidth to crew members, without increasing data rates. 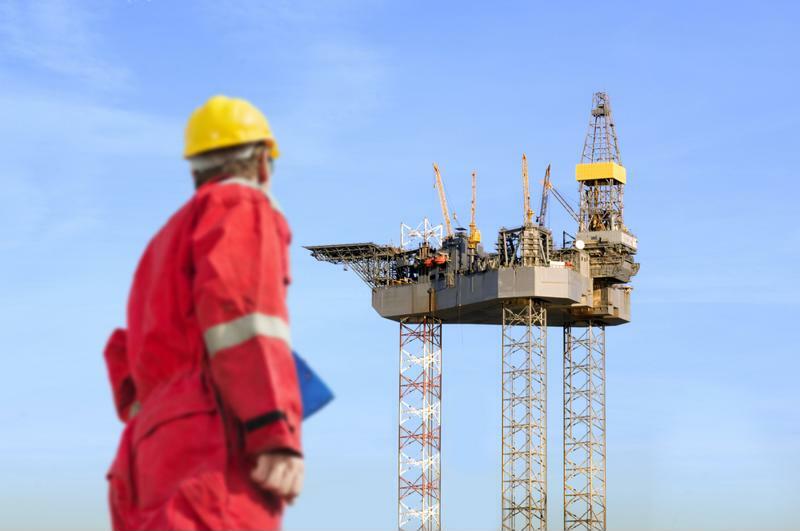 As a result, oil and gas companies can lower costs of their overall crew welfare services by leveraging SpeedNet®. Our Houston technology demo also features HD Connect®, another patented technology, providing high definition tele-presence service operating over a satellite connection. HD Connect enables high-quality, low-jitter and reliable tele-presence, leveraging the efficiency benefits of multicasting and Cisco’s leading technology. EMC’s HD Connect® service plans allow for on-demand usage, saving customers money by only paying for what they use. Many customers use HD Connect for large scale video conferences in high-risk security environments, where travel is restricted and dangerous. Additional applications for HD Connect include Doctor On-Board and security monitoring in the field. Interested in experiencing EMC’s network and technologies for yourself? To schedule a session in our Houston, TX technology demo center, submit your contact information here. We will contact you back to schedule your demo session. EMC announced its acquisition of General Industry Systems (GIS) AS, a Norwegian-based provider specializing in energy and maritime connectivity services for offshore operations. The consolidated portfolio of products, services, experience, locations and engineers of the companies strengthens EMC’s energy and maritime business segments.